Disney Emoji Blitz is a Disney spin on the classic Bejeweled. Match three Disney characters to clear them from the grid. Match four in a row and create a lightning emoji to clear emoji's in either a horitontal or vertical line. If you match an emoji with two of the same emoji's to its side and either above or below, it creates a sunshine emoji which can clear emoji's in both a horitzontal or verticle line. Matching five of the same emoji in a row will create a special rainbow star emoji which, when swiped with an emoji, will eliminate all of that emoji from the grid. Here's a run down on how to get Sora and Aqua, as well as the Kingdom Hearts event coming to Disney Emoji Blitz. Two emoji's will be obtainable during the event. Sora and Aqua can be obtained just by playing the event (note that there's a 60% chance of getting Sora and a 40% chance of getting Aqua). Players can pull for them from the Diamond Box in the Shop Menu (requires Gems which can be obtained in game or via real money). Tap Sora, Donald or Goofy to activate their attack. My friends are my power! Tap Aqua's keyblade to cast Bubble Blaster and clear emojis! 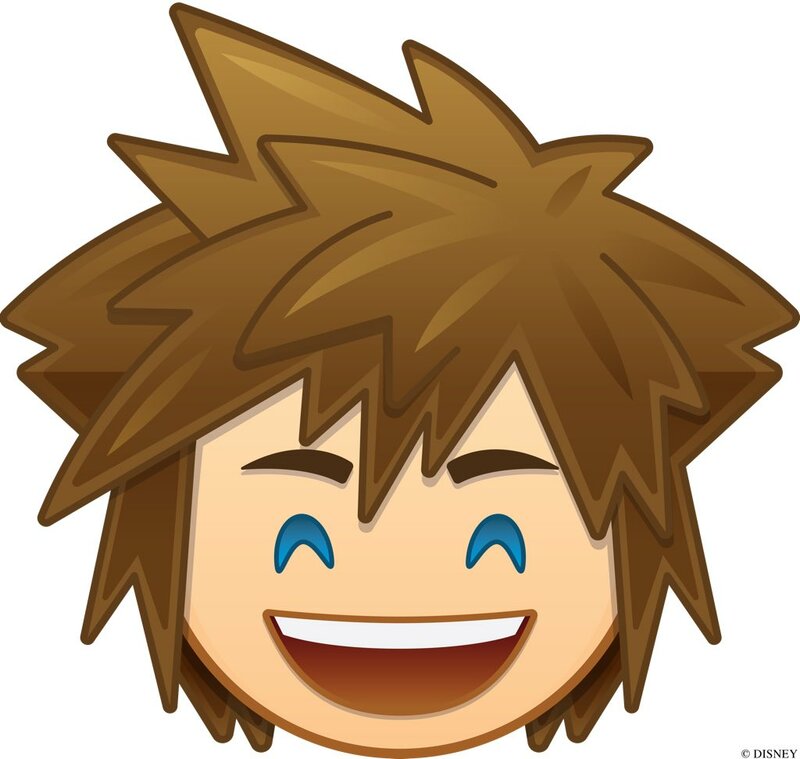 The Kingdom Hearts event is a Clear the Darkness Event, which requires the player to remove Heartless from the grid. There are rewards for achieving certain milestones, with there being 24 milestones available within the event. The rewards are usually coins and gems but there are special rewards at missions 12, 18, and 24. Those who finish the event within the three day period can unlock Rainbow Falls. This is a bonus challenge where players can try their luck to beat a series of objectives without failing. If they fail, they are sent back to the start of the challenge. There are 5 levels to complete before players can complete a stage, with four stages in total. Sora and Aqua are available for beating Rainbow Falls. Via u/System_player (source 1, source 2, source 3). 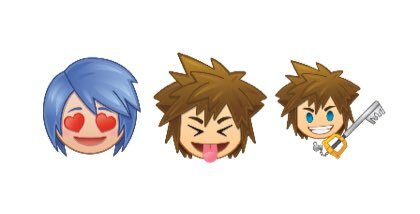 Got both Sora and Aqua and have proceeded to spam Spockanort and Sign with Aqua and Sora emojis. Is it worth downloading the app for this? Total number of enemies to beat:666 Conicidence, I THINK NOT! I've enjoyed having a Disney version of Bejeweled to play during my commute to work, as well as during some breaks. I enjoy Bejeweled in general, so I like it. Plus you get like seven versions of emojis per Disney character to send to people (though it's actually just images and you can send three at once max like in the OP image). I just want to remind you all that Riku could have been apart of this, but you failed him and by extension me. I got Sora, I'm working on getting Aqua now! I downloaded this last night to try and get them but the game didn't hook me well enough and I ended up uninstalling it. It's kinda just like a less exciting tsum tsum? Itâ€™s just Bejeweled with Disney emojis. The app is young, so it is getting new changes. Itâ€™s also under a new company...which probably means itâ€™ll become more microtransaction-heavy. You arenâ€™t missing out on much. Revisiting Sailor Drops after finally watching Stars had me in this Candy Crush-esque mode. So, I finally played this some of the event this last day and got Sora. It's cute. 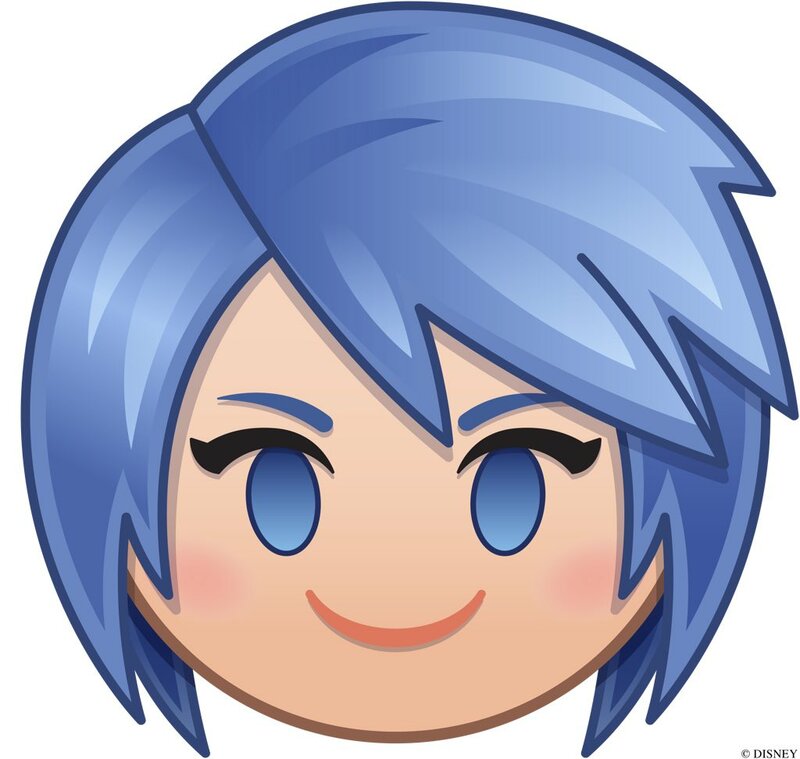 I'd probably buy Aqua if they bring her back. Gathering keyblades, at least for a new player like me was tedious. Yeah I got Sora, but the event seemed pretty tedious to me as well. I didn't dislike my time playing it though. Its cute. Not as cute as the Tsum Tsum still though. Which I also have failed to get Aqua in so far...but I did get Kairi.